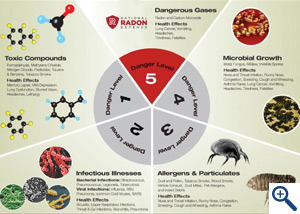 As your local National Radon Defense dealer, Clean Air Act, Inc. is trained and certified to prevent radon gas from entering your home and alleviate a host of other pollutants. In addition to measuring radon levels, we have the equipment to monitor your home for particle allergens, chemical pollutants, carbon monoxide, humidity, temperature, and carbon dioxide. When you contact us for help, our indoor air quality professionals will test the air in your home and provide the best solution, whether it's installing an indoor air cleaner, vapor intrusion mitigation, or a combination of solutions. Call us today for an appointment to have your indoor air quality evaluated. 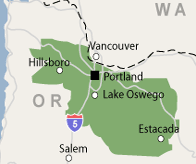 Our services are available in Beaverton, Gresham, Portland, Oregon City, Hillsboro and throughout Oregon. 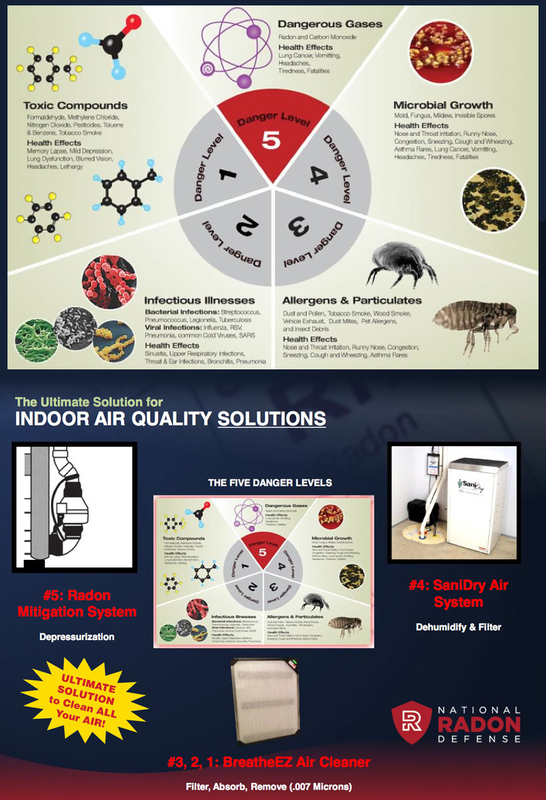 Clean Air Act, Inc.’s strategies for reducing allergens and particulates include dehumidification and the installation of an electronic air filter or energy recovery ventilator in existing HVAC systems. Indoor air pollution includes airborne bacteria and viruses. Such contaminants are carried into the home by family members and pets. Infectious disease can include either bacterial diseases such as streptococcus, pneumococcus, and tuberculosis or viral diseases such as influenza, RSV, pneumonia, common cold viruses, and SARS. The health effects associated with this danger level are sinusitis, upper respiratory issues, throat and ear infections, bronchitis, and pneumonia. Clean Air Act, Inc. highly-effective air filtration solutions can reduce the presence of viruses and bacteria in your home. Do you think you might have a radon problem or other indoor air quality problem in your home? We specialize in solutions to rid your home of dangerous pollutants. Learn more about radon testing and when it's smart to have a radon mitigation system installed. Give us a call at 1-844-385-7792 or get an online quote. We are the trusted radon mitigation company in Lake Oswego, Woodburn, West Linn, Tualatin, Clackamas and surrounding areas of Oregon.